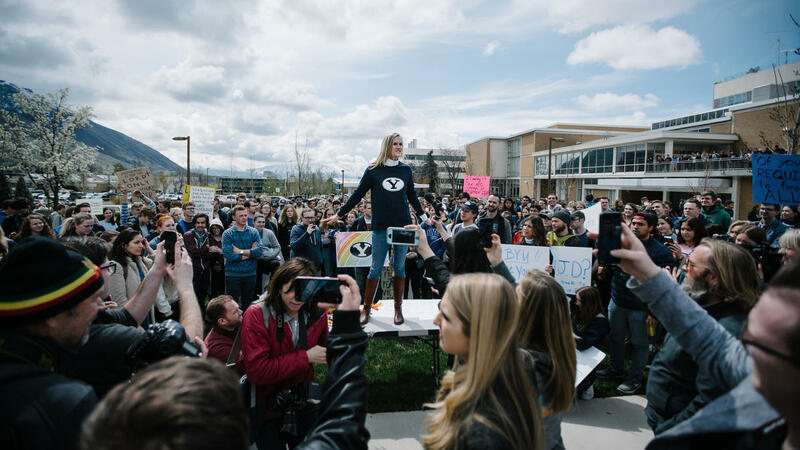 A Rare Sight At Brigham Young University As Students Protest The Honor Code Office Students allege that the university is mistreating victims of sexual assault and harassment, especially women and LGBTQ students. We believe in the Gospel and we think the Honor Code Office has forgotten that. And it's our job to remind them.